Moving and raw, Intervention: Season 1 - Then & Now documents the stories of six individuals from the debut season of this series whose powerful addictions nearly ruined their lives. Alyson was a gifted student and former White House intern until her dependence on alcohol and drugs nearly destroyed her dreams. Vanessa was once a successful actress before compulsive shopping drove her to bankruptcy and despair. Gabe is a gambler who has lost over $500,000 and his home and Matt was addicted to crack-cocaine. 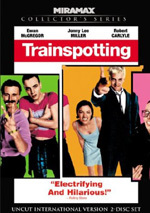 Season 1 also tracks the interventions of two meth addicts: Sara who must save herself for the sake of her daughter and former rock star Travis whose early fame resulted in drug use. Four original episodes trace these individuals' battles with their diseases and the surprise interventions from their families. This special collection also includes follow-up stories that track Alyson Gabe Sara and Travis' roads to recovery. On a recent trip, I channel-surfed at a hotel and came across the A&E series Intervention. The show takes folks with various addictions and follows them as they attempt to kick their habits. The episode I watched looked at a morbidly obese teen and a drug-addled college kid. TV often digs into people with serious problems, as folks like Dr. Phil and many others love to mine that territory, but something about the program made it more appealing, perhaps because it demonstrated a perverse sense of humor. For instance, someone decided to force the dieting teen to decorate massive numbers of cupcakes. Since I don’t have cable, I can’t watch Intervention on a regular basis, so I decided to take a look at Intervention: Season One – Then and Now DVD. Alas, neither character from the episode I already watched appears here. “Then and Now” offers four programs with a total of six participants. Each one follows a similar framework. We learn about the problems suffered by those involved and then see actions done to remedy the concerns. This means they stage an “intervention” to attempt to help the messed-up individual improve. Alyson (43:12): A 27-year-old former White House intern, Alyson gets into morphine, crack and heroin. She dropped out of college one semester short of graduation and has blown plenty of opportunities due to her addiction. Her oxygen-assisted father suffers from ill health due to aneurysms, and Alyson’s status creates even more stress for him. Honestly, it becomes tough to feel sorry for Alyson because she seems like such a whiner. She had all sorts of privileges that she blew because… I don’t know. The show never gives us a hint as to why Alyson became an addict. We hear about her boyfriend Ritchie, an almost absurdly over-the-top example of a terrible choice for a mate; he looks and acts just like he’s from the Every Parent’s Worst Nightmare catalog. The show alludes to his part in Alyson’s drug use but never relates how she met him, how they got involved, and why she gave up on all the positive aspects of her life. The fact that she does all this during her dad’s potentially terminal illness does nothing to endear Alyson to us. Again, if we had some clue how she got addicted in the first place, she might seem more sympathetic. We don’t, so she just seems like a selfish brat. Her path to sobriety appears strangely easy, too. One minute she delights in her drug use, and the next she wholly buys into rehab. I think it’s great that she does that, but it does seem perplexing since Alyson never exhibits any qualms about her addictions; she just sees herself as a victim, though a victim of what remains unknown. It’s compelling viewing, even if Alyson annoys us and these questions remain. Gabe and Vanessa (44:26): Former child prodigy Gabe’s gambling addiction literally drives his parents out of their home; they have to sell the house to pay for his debts. Vanessa once bordered on fame as a cast member on ER but her career has tanked. She shops to excess to satisfy various holes in her life. Woof – these two make Alyson look like the most normal person on the planet. Gabe is a suicidal whiner who doesn’t accept how his behavior impacts on others, while Vanessa suffers from multiple mental disorders. Her shopping addiction seems to be the least of her problems. That’s a significant flaw in her story, as it quickly becomes obvious that her financial issues are a minor concern compared to her other obstacles. Heck, she’s not even gone into debt due to her shopping; she used up a lot of the money she saved when her career went well, but she’s not in financial trouble. The shopping is obviously a symptom. I understand why the series focused on that one area, as it’s her only “addiction”, but it’s just the tip of the iceberg; poor Vanessa has massive, massive issues that’re much more serious than shopping. On the other hand, seeing Gabe makes me want to retract the negative remarks I related about Alyson. Yeah, she’s a spoiled whiner, but Gabe takes a sense of entitlement to a whole different level. He actually believes that parents are completely responsible for their kids forever - financially and every other possible way. Gabe takes absolutely no responsibility for his flaws; he blames others and gets angry when everyone else won’t do what he wants. Maybe I sound like a bad person for saying this, but Gabe is one of those people who’s so unlikable that you want to see him fail. He’s a real piece of work without a single characteristic to make him sympathetic. He looks and acts like a three-year-old. Granted, his parents do deserve a lot of the blame; as was the case with Alyson, they clearly enabled a lot of his excesses. Nonetheless, he’s a very unpleasant guy. Even when he seems to get his act together after his self-aborted intervention, it feels like a con. We know that Gabe’s super-smart, and he’s also clearly a sociopath. He tries to use whatever tactic he can find to manipulate the folks who care about him. Now he’s going for “humble”, but I don’t buy it. Oh, and he really needs a hairstyle intervention, as those silly blond highlights ain’t working for him. Sara (44:16): 24-year-old Sara has a three-year-old kid and a meth addiction. Her ex-husband now has custody of their daughter while she resorts to crime to support her habit. Attempts by her family to set her straight just make her feel more eager to get stoned. That’s Sara’s response to everything: get high. When her family nags her, she gets high. When she goes to court, she gets high. When she fails a drug test, she gets high again. Geez – Sara’s only 24? Meth must really age its users, as she looks at least 10 to 15 years older. Sara’s episode doesn’t seem as involving as the two prior shows. Perhaps that’s because Sara doesn’t show the obvious mental illnesses of Vanessa, and she’s not a relentless selfish whiner like Gabe and Alyson. Actually, she does show a lot of the same tendencies as those two, and if her episode came first, I’d probably muster more negativity toward her, but she comes across as less irritating as those two. Once again, my main complaint about the show stems from the series’ inability to explain the roots of the addiction. We get some hints of disappointments and failed promise, but there’s not much detail involved there. She married young and it didn’t work out, but that’s not a great explanation for meth addiction. It’s not clear if she started to use after her marriage failed or if her drug addiction led to her divorce, which is another drawback of the episode. The show manages to keep us interested but it’s not quite as involving as its predecessors. Travis and Matt (44:26): 19-year-old Matt comes from a close-knit family and lives at home, but he does whatever necessary to support his cocaine and crack habits. That includes stealing from his family; he’s taken more than $15,000 worth of merchandise from them over the years. His parents threaten to boot him from the house if he doesn’t go into treatment within a month. Matt displays remorse but continues to “chase that high”. As for 25-year-old Travis, he attained success as the leader of a rock band called Days of the New. He maintains a crystal meth addiction that’s put the kibosh on his career along with many relationships. Health problems seem imminent; after one meth run, he suffered permanent heart damage. Wow – for once an episode of Intervention actually attempts to explain an addiction! Matt claims that he started to do coke due to all the pressures to succeed at school. That’s an interesting rationale, and a believable one, as kids these days are forced to engage in eight zillion extracurricular activities to keep up with their peers. We also hear about all the neglect from Travis’s mom, so his addiction undergoes some explanation as well. His success as a teenage rocker clearly did a number on his psyche, too. Intervention really should try to do that more often; it’s more satisfying when we have some understanding of what brought the addicts where they are. Travis and Matt provide probably the most sympathetic of the DVD’s six tales. While Travis doesn’t do much to endear himself to us, his tale creates great sadness in the viewer. The kid got dealt a bad hand by his crappy parents but managed to become a legit rock star as a teen. He couldn’t handle it, though, so he blew all his fame, fortune and potential on drugs. I know that Alyson offers another story of someone who didn’t live up to what they could’ve been, but she lost everything despite all sorts of advantages, whereas Travis came from nothing to achieve success. It hurts more to see someone overcome the odds and collapse. Cripes, Travis’ mom is such a dud that she says she can’t attend his intervention due to problems with her furnace! Matt becomes one participant for whom we cheer because he shows self-awareness and a desire to improve. Whereas most of the others don’t care that they’re hurting their loved ones, Matt knows he’s doing wrong and he clearly wants to work on that. Any time I see a guy who completely sabotages his chances with the girl he likes, I gotta feel for him. The presence of two sympathetic subjects doesn’t make this episode more interesting than the others, as the annoying characters can be the most compelling. However, it adds more of an emotional component to the show since we actually care what happens to the guys. That’s probably the best path for Intervention, as the addicts you love to hate take it a little too close to Jerry Springer territory at times. Those stories are entertaining, but you feel a bit dirty after you watch them. 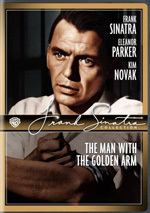 Intervention appears in an aspect ratio of 1.33:1 on this single-sided, double-layered DVD; due to those dimensions, the image has not been enhanced for 16X9 televisions. Other aspect ratios appear throughout the episodes, so expect some letterboxing though the majority of the footage goes with 1.33:1. I didn’t anticipate stellar visuals, and the spotty results ended up the way I thought they’d be. Sharpness created the biggest problems. Close-ups looked decent, but most other shots seemed somewhat fuzzy and murky, and quite a lot of blocky shots appeared. The show looked a bit blurry and lacked the definition I’d like. Jagged edges and moiré effects caused notable concerns, and I noticed light signs of edge enhancement. Source flaws were absent, though quite a lot of video artifacting appeared, especially in low-light shots. Colors looked decent but a little drab. The tones were fairly accurate for the most part, but they never went beyond that. The hues were a little muddy at times, though they generally came across as acceptable. Blacks seemed muddy, and low-light shots were fairly clear and visible, though they tended to be bland. This was a lackluster visual presentation. The Dolby Stereo 2.0 soundtrack of Intervention was decent but unambitious. The audio seemed fairly monaural, with most of the dialogue and effects emanating from the center channel. Music spread a little to the side speakers but didn’t bring out a lot of vivacity. The surrounds played a passive role in the proceedings; if they added anything, I didn’t notice it. Quality was adequate, with clear and relatively natural speech most of the time. Shouted lines could be rough and edgy, but most of the speech remained fine. The modest effects came across as clean but a little thin, and the music sounded acceptable. As a whole, the track lacked much depth and seemed mediocre. One extra appears here: a collection of Bonus Updates. This 20-minute reel lets us know what happened to four the six participants after the episodes aired. We find updates for Alyson, Gabe, Sara and Travis. Each one reflects on their experiences with the series and lets us know what’s happened to them since the shows aired. These are all first-person narratives, which is a bit of a disappointment since it offers only one perspective; I’d like to hear updates from the friends/family featured in the episodes. Still, it’s good to get another look at the various folks. 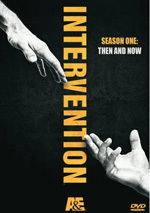 Reality/documentary TV shows are a dime a dozen these days, but I think Intervention offers one of the better series. It allows us a glimpse into the lives of addicts, but it doesn’t just wallow in squalor; it also actually offers a ray of hope for viewers who may be in similar circumstances since it often shows positive outcomes. 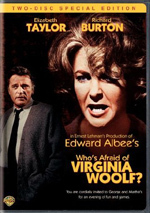 The DVD gives us drab picture and audio and includes only minor supplements. This isn’t a package with great rewatchability, but it’s interesting enough for a rental.